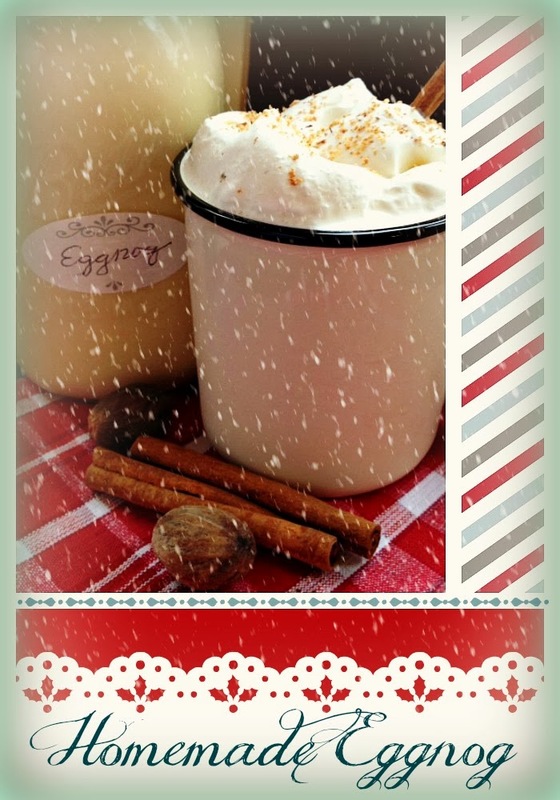 How to make perfect homemade EGGNOG for that holiday dinner party! Do you love eggnog as much as I do? Are you sad when it disappears from store shelves after the holidays? Want to learn how to make it? Good. I can't wait to tell you! Step 1: Combine milk, 1 tsp vanilla, cinnamon and cloves in a medium saucepan. Cook over low heat, stirring now and then while you slowly bring the mixture to a low boil. This will take about 35 minutes. Step 2: When the mixture starts to boil, remove from heat. Pour through a strainer to remove cinnamon sticks and cloves. There may also be a film on top of the milk that the strainer will remove. Step 3: In a large bowl, whisk together the egg yolks, sugar, and salt until creamy. Take the heated milk mixture and pour it steadily into the egg yolks, whisking as you go. Step 4: Pour the whole mix back into the saucepan and return to the stove. Cook over low heat, whisking steadily until it reaches 160 degrees. Once it reaches this temperature, cook another couple minutes until the mix thickens a bit. Stir in the half-and-half and 2 teaspoons vanilla. Step 5: Remove from heat and let cool for an hour. Once it's cooled, pour the eggnog into a jar or pitcher that, after a time, can be sealed with a lid. Let it chill for a couple hours uncovered in the fridge. Then cover and chill overnight. Serve with whipped cream (the real stuff! this is eggnog!) and a pinch of freshly grated nutmeg. Makes about 1 1/2 quarts. Just made the egg nog today! OMGoodness, but that is heavenly! I doubled the batch and got two quart jars and enough for 5 of us to sample. Yum! Thanks for sharing! Oh and the extra egg whites are going to be angel food cake tomorrow!